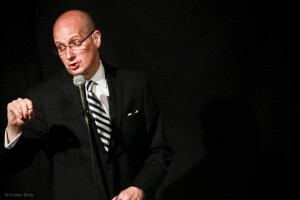 Rick Jenkins is the owner and regular host of The Comedy Studio. Go there any Saturday and witness his greatness for yourself. Or better yet go on a Wednesday or Sunday. The Saturday shows are probably already sold out for the next couple months. That’s how good he is! 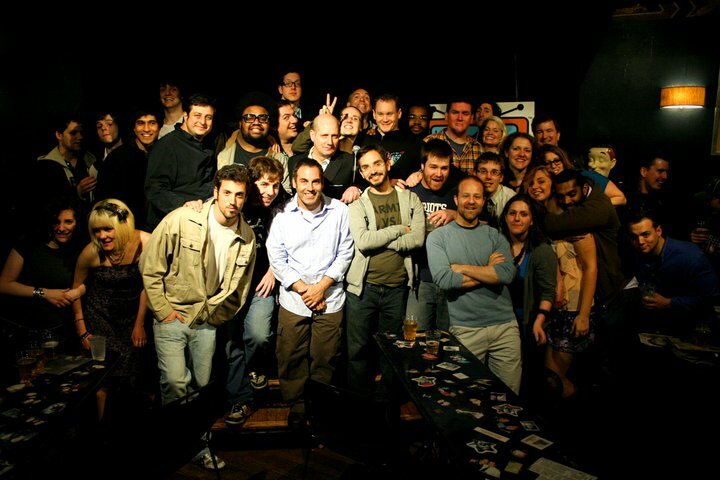 When I started doing stand up comedy I would frequent an open mic on Monday nights at Sally O’briens in Somerville. It’s still there, run by some nobody now. Anyway, at the time it was hosted by Dan Hirshon and Myq Kaplan. I enjoyed doing stand up and Myq suggested that I check out The Comedy Studio sometime. I went to “The Studio” on a night that I knew Myq would be performing and he introduced me to Rick. Upon our introduction Mr. Jenkins handed me a packet and said I should read it over and sometime in the future I could probably perform at the club once I developed a solid 5 minutes. I was happy to have made the new acquaintance and grabbed a seat to watch the show. Rick Jenkins was hosting of course and he made everyone feel welcome and set a great tone for the show. Rick would do jokes in between comics and the style just won me over immediately. His material was great, quick, sharp jokes. Funny and efficient. Why use 12 words when 6 would do? I was very impressed with Rick Jenkins the comedian. 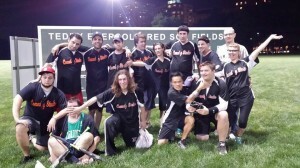 Rick Jenkins sponsors this softball team! Rick was the first comic that I felt compelled to try and impress. I wanted a comedian of that caliber to appreciate what I was doing. He was also the first club owner to give me a shot without requiring I bring 4 or more audience members to the show. When I performed at his club he would watch my set and give me notes after. 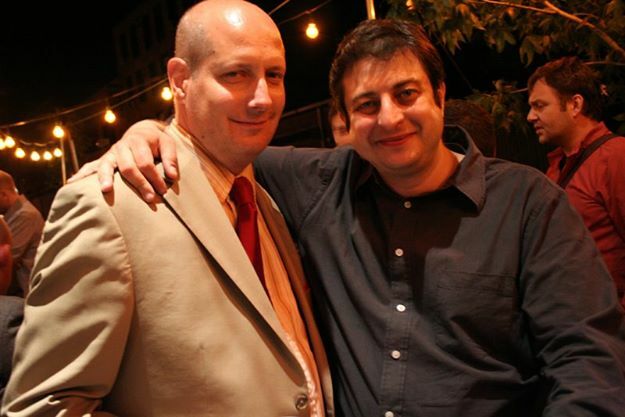 Rick was a great mentor for me and helped me develop as a comedian a lot over the years and we’ve become friends. And I’m still very impressed with Rick Jenkins the comedian. 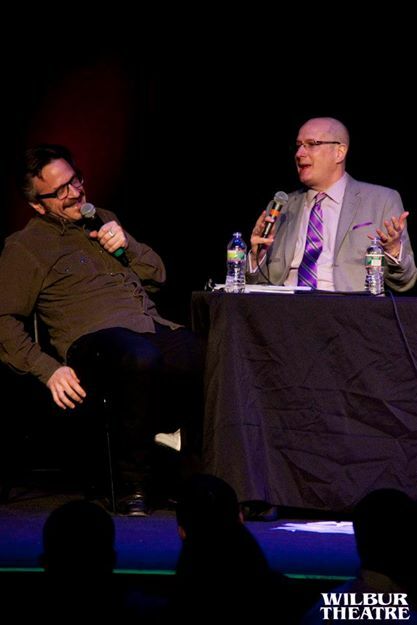 Rick Jenkins and Marc Maron at the Wilbur Theatre. When there is an industry panel of comedians Rick is asked to be part of it. 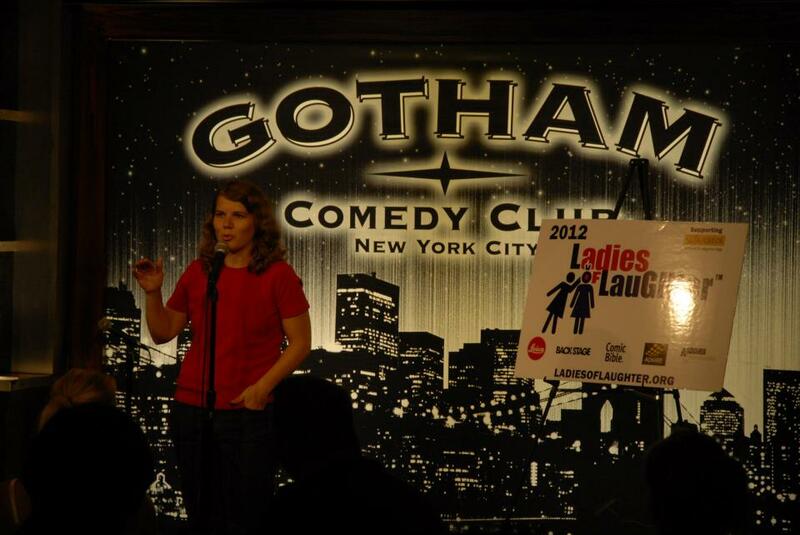 Even at The Women in Comedy Festival. 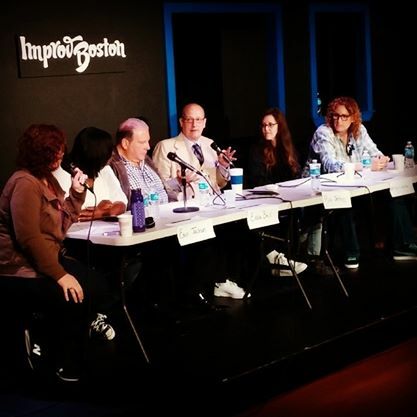 Rick Jenkins is part of a panel of respected comedians at The Women in Comedy Festival. Rick was nice enough to sit down with me for a little Q&A. SC: You’re originally from Buffalo, NY. Why did you decide to move to Boston? RJ: It was 1986. Chicago was all improv. New York was NY. I just knew I didn’t have the hustle to get road work to support myself. And Boston was booming! With a very mediocre 30 minutes, you could get some paid work. And I did. SC: You are a remarkable joke writer. Were you a natural or did it take a lot of practice? RJ: The more you work, the better it gets. ‘Funny’ is like a language. Some have a natural feel for it, some need to diagram sentences and understand tenses. But once you know it, you can communicate anything. SC: One of my favorite jokes right now is your ‘cupcake joke’. How did you go about writing it? SC: When I first came to your club and witnessed your performance I just knew that was the place that I wanted to be. I wanted to ‘The Comedy Studio’ to be the place that I developed as a comedian because I had such an appreciation for your comedy. Who was it that you looked at when you started and thought “gee, I could really learn some stuff from that guy.”? The Comedy Studio gets some amazing drop in sets. 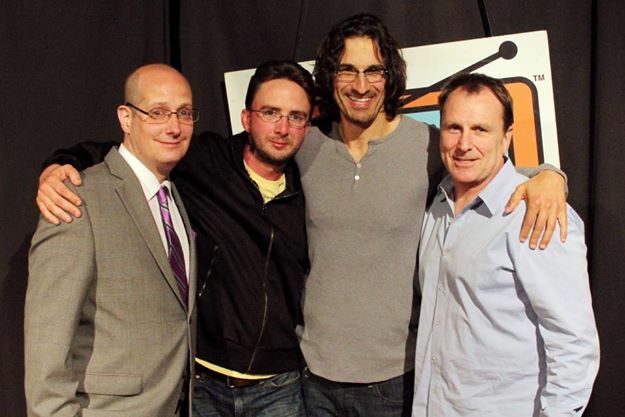 Joe List, Gary Gulman, Colin Quinn. to be around really funny, smart, talented people. Anywhere comedians gather, there’s something to be gained. SC: Outside of your own club ‘The Comedy Studio’ (which is a treasure in the heart of Cambridge). Where have you had the most fun performing comedy? RJ: The Tralfamador Jazz Club in Buffalo (500 seats and yet, intimate. Saw Leno, Emo, Norm MacDonald, Kinison), ; Yuk-Yuk’s in Rochester, NY (those audiences were right! I was that good! ); And the old Comedy Connection on Warrenton Street (saw Hicks, Wright, Hazard, Mike Donovan) It broke my heart to hear comics say that ‘Tommy’s Comedy Lounge’ wasn’t set up for comedy…. it was the old Connection space! Low ceiling. 199 seats. The club of my dreams. SC: Any horror stories from the road you could share? SC: How many more people need to die before your joke notebook is full? RJ: All of them. It really started as a single joke. The formula is so simple. Category one: Things about death. Category two: Things about that person. AND combine! SC: As I’ve mentioned your club ‘The Comedy Studio’ is an amazing venue for comedy and has been for years. How have you built it up to be such a landmark in Boston without ever advertising? RJ: Just plugging away one show at a time. Comics help. Audience help. Staff helps. Lots of help. SC: You get so many great comedians dropping into your club for a guest spot when they are back in town. If you HAD to pick a top 5 best drop in sets at your club who would you choose? 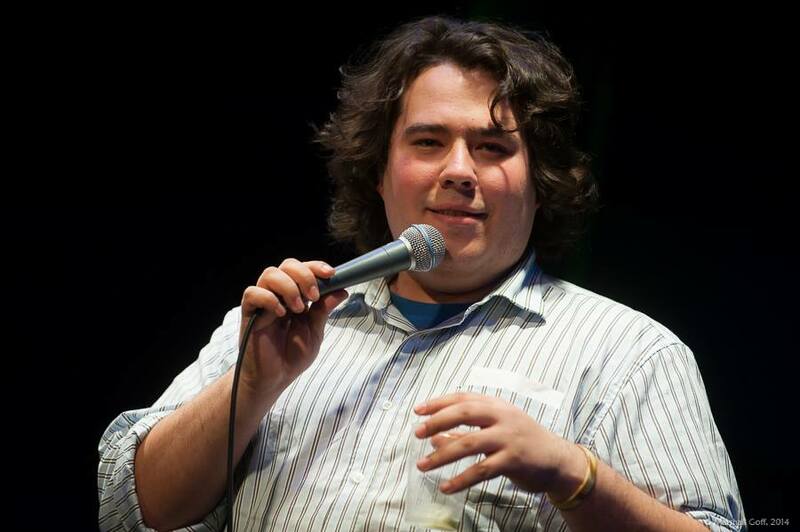 RJ: Louie spent nearly a week working on ‘Hilarious’, and Mike Birbiglia worked out some of ‘Sleepwalk’. Maron, Spade, Jeselnick. But really, Eugene coming back is big. 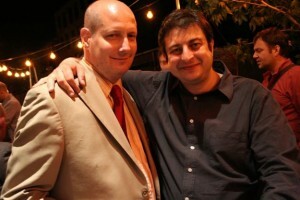 Rick Jenkins with Eugene Mirman. He’s the one who got us that cache. The rep that made top acts want to check it out. SC: I’m aware that you were a fan of Johnny Carson. Do you still watch any late night comedy talk shows? RJ: The way a high school football coach watches the NFL. As much as I can, with total enjoyment. And a feeling of pride that I was around as some of these writers got started. SC: Many comedians from Boston think of you as a mentor. Who is it that mentored you when you were a newbie? RJ: Tony Lewis back in Buffalo. DJ Hazard in Boston. SC: Who should be featured in the next ‘Favorite Comic”? Thanks for being part of this Rick and thanks for letting us be a part of your club. 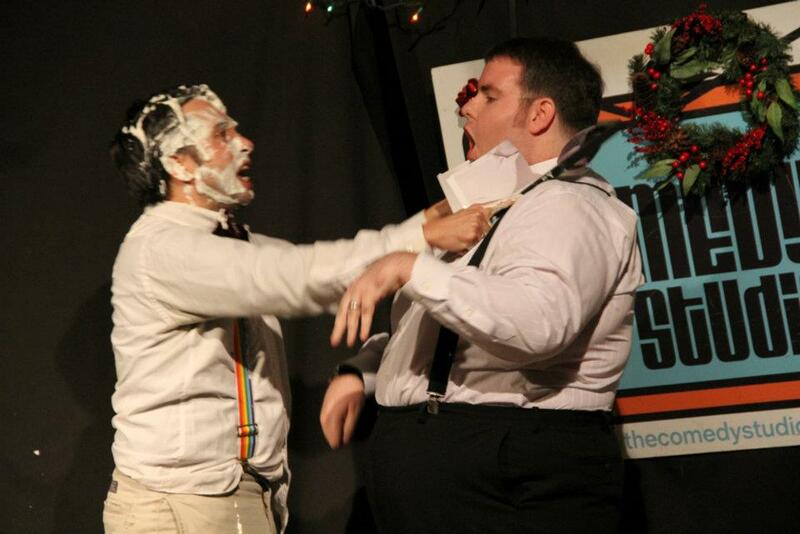 Holiday Party at The Comedy Studio. 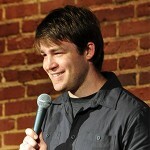 Catch Rick Jenkins live at the Comedy Studio in Harvard Square! Shows run Wednesday-Sunday.